We have a wide range of listings. If we don't have what you are looking for we can assist you with your search. As members of three multiple listing services we can search thousands of listings for you. We can help with purchases of homes, vacation homes, farms, land, investment property or rentals. The village of Schoharie lies at the northern end of the broad Schoharie Valley, known as the Breadbasket of the American Revolution for its role in supplying the troops of George Washington. A non-profit, volunteer organization dedicated to acquiring and preserving historical sites in and around the Village of Schoharie. Our main goal is to restore such sites and make them available to the public for educational and cultural enrichment. 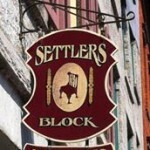 Discover the history, beauty and bounty of Schoharie County. Savor our seasonal harvests or enjoy an intimate farm-to-table dining experience. Explore our countryside's underground landscapes and the artisan shops and galleries in our villages... so many ways to make your visit Picture Perfect. As you drive along Route 30 in the Schoharie Valley, amidst the beautiful scenery, you will be riding on the Timothy Murphy Trail, named after one of the American Revolution local heroes. The Valley abounds with farm stands, unique shops, places to dine and places to stay. Our family welcomes you to the Schoharie Valley. Enjoy its broad fields and soaring cliffs, take part in its history, and bring home the best of it's abundance from Schoharie Valley Farms, offering produce, gifts, onsite cafe, and greenhouses! 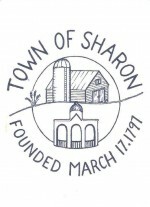 The Town of Sharon and the Village of Sharon Springs is located on Historic Route 20. Much of the history is extraordinary because of the Mineral Springs in the Village. Sharon Springs is located at the edge of the Catskill Mountains, overlooking the beautiful Mohawk Valley and is one of New York's richest historical gems. Sharon Springs can be explored while browsing antiques or visiting the Sharon Historical Museum and Schoolhouse. Shop Little Falls is all about building a local living economy by supporting local trade and jobs. We value ALL local businesses, big and small, and we appreciate local business owners. We all want to work to create a thriving, collaborative community where all businesses prosper and thereby contribute to the well-being of all of our citizens. It’s all about making your hard-earned money go further, fueling the local economy, and helping to preserve the unique character of Little Falls. National shrine of North American martyrs and birthplace of St. Kateri Tekawitha. 400+ acres of landscape, Masses in the Coliseum, museum, visitor center. Sloansville is part of Schoharie County, located close to the center of New York State. Established in 1797, the Town of Springfield is rich in history, natural beauty, and recreational opportunities. Known as “The Place to be on the 4th of July”, Springfield has hosted an annual 4th of July Parade and Celebration in the hamlet of Springfield Center since 1914, adding an evening concert and firework display held at Glimmerglass State Park beach to the annual July 4th festivities in 2014.